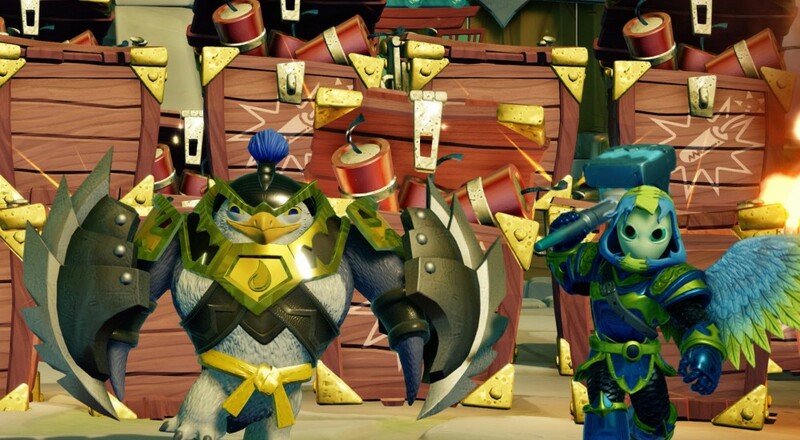 The Creation Crystals allow you to pick your own Battle Class, appearance, and catchphrases in order to build your very own Skylander in-game. Each Crystal is associated with a particular element, e.g., fire or water, so you'll be able to make a water-based Bowslinger or a light-based Sorcerer depending on the Crystal you use. In addition to these "Imaginators," there are over 30 Sensei characters that vary by Battle Class and element. If you pair up an Imaginator and a Sensei of the same Battle Class, new weapons and abilities will open up for the Imaginator allowing you to explore new areas in the game. Skylanders Imaginators releases in North America on October 16, 2016 for the Xbox One, Nintendo Wii U, Xbox 360, Playstation 3, and PlayStation 4. Two player local co-op is supported throughout the game. Page created in 1.4118 seconds.